The height of the building must not exceed 2500 mm for buildings within 2 metres of a boundary. 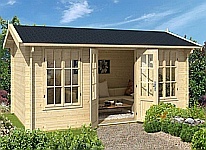 Cabin living can supply almost any garden cabin modified to 2.5m ridge height other than the two storey models. State your preference when placing an order. 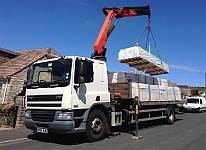 All buildings with a veranda, balcony or raised platform (over 300mm high) will need planning permission. Planning advice for England, Scotland and Wales. 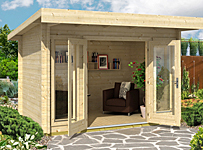 Do I need planning permission for a log cabin or garden shed? The following advice may make planning permission unnecessary but we strongly advise all our clients to seek written approval from their local development control officer before starting construction. 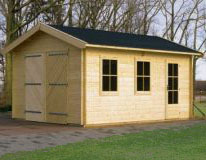 The cabin should be at least 5 metres from your home. 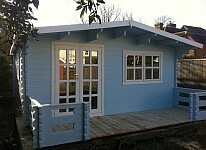 This rule only applies in Scotland now and log cabins or garden offices can be closer to the house in England. 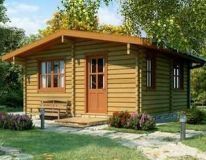 The log cabin must be less than 4m high with a pitched roof or 3m with a flat roof. 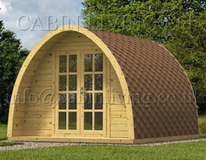 Cabin Living cabins are less than 4m high with a pitched roof. If the floor area of the building is less than 15 square metres , it can be sited close to a boundary. 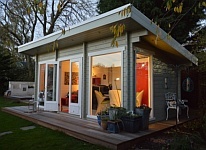 Cabin Living would still suggest a 0.5 metre gap to allow maintenance of your boundary and cabin. If between 15 and 30 square metres there should be at least 1 metre to any boundary to comply with building regulations. 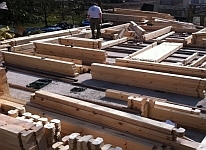 The log cabin should take up less than 50% of the garden surrounding the house. Less than 30% in Scotland. Contact your local development control officer. 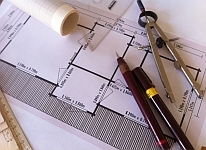 It is likely they will ask you to submit a plan indicating where and what you intend to build. Your council should not apply any fees for this type of enquiry as this is not a formal planning application. an accurate dimensioned plan of your site showing cabin orientation, your home and clearly marked boundaries. 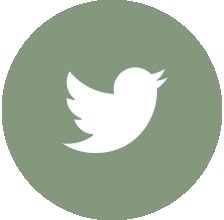 This should be to scale 1:100.
a photograph of your site. a picture of your proposed log cabin. floor dimensions of your log cabin. 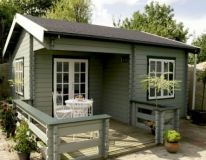 It is advisable to point out in your accompanying letter that your cabin is 5m from your home(if resident in Scotland), less than 15sqm if you propose to place it close to a boundary, less than 4m high with a pitched roof, and less than 50% (or 30% for Scotland) of the garden area. 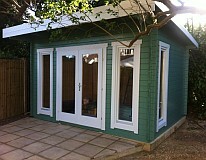 This will help to demonstrate your familiarity with planning rules. Councils do vary but response to this type of enquiry is normally fairly quick. One week or so. This may seem like a time consuming process but obtaining approval secures peace of mind and ensures that if you sell your property in the future you can furnish your buyer's solicitor with written approval from development control. 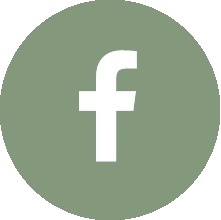 For further information on planning permission garden : use these links to visit the Planning Portal or General Permitted Development Scotland.